It’s been a long time coming and the time is now! Looking good and feeling good are two worlds that should always collide for everyone. Selected styles of Oona Unders will be available from size S – 5XL all day, every day and I’d like you to celebrate with me! 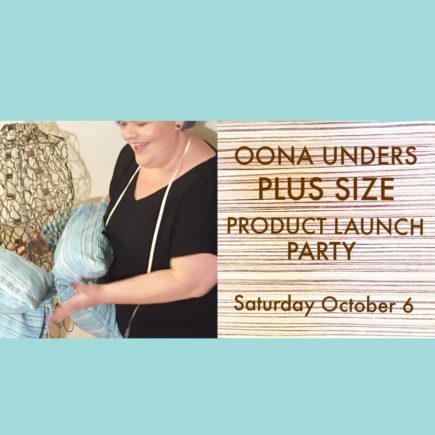 Please join me at the Oona Studio to check out the goods! All made with my own hands start to finish, there will be lots available to purchase starting at just $15. Full size runs of every style! There will be a CONTEST with PRIZES! There will be delicious refreshments.